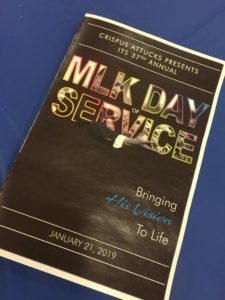 On Monday, I joined members of the greater York community at Crispus Attucks to participate in the 37th annual MLK Day of Service. 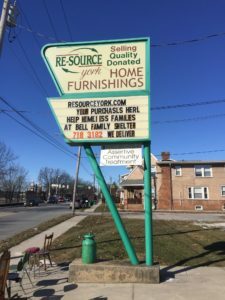 I spent time volunteering at Re-Source York. The event was an excellent way to commemorate Dr. King’s life and legacy. You can read more about the 37th Annual MLK Day of Service in the York Daily Record’s story here. Thirteen York College student leaders, known as the “YCP Roadcrew,” are crisscrossing the Commonwealth to meet with alumni in various career fields of interest. Last week, I had the privilege of meeting with most of these students to discuss the “Roadcrew” program, where they interact with alumni in their respective job settings. The program gives students a chance to see alumni putting their York College education to work in the real world. 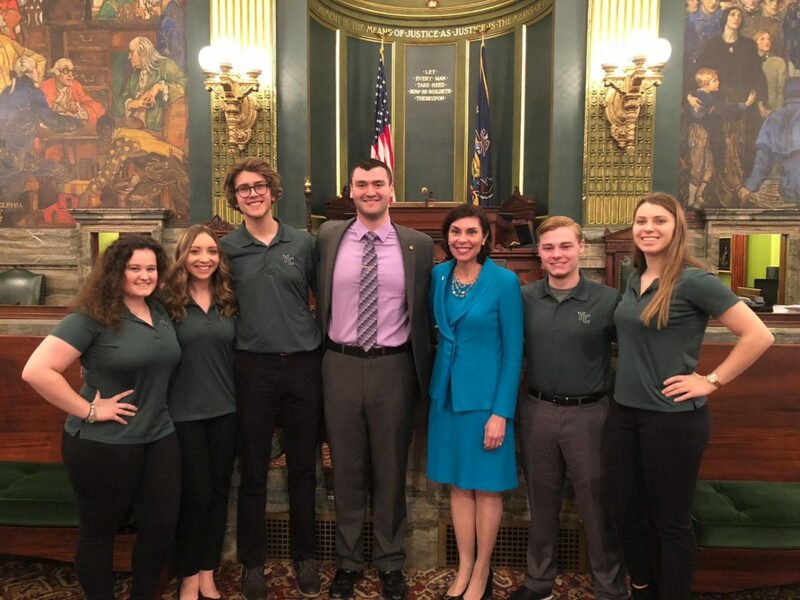 Part of the “Roadcrew” included students involved in the York College Senate. 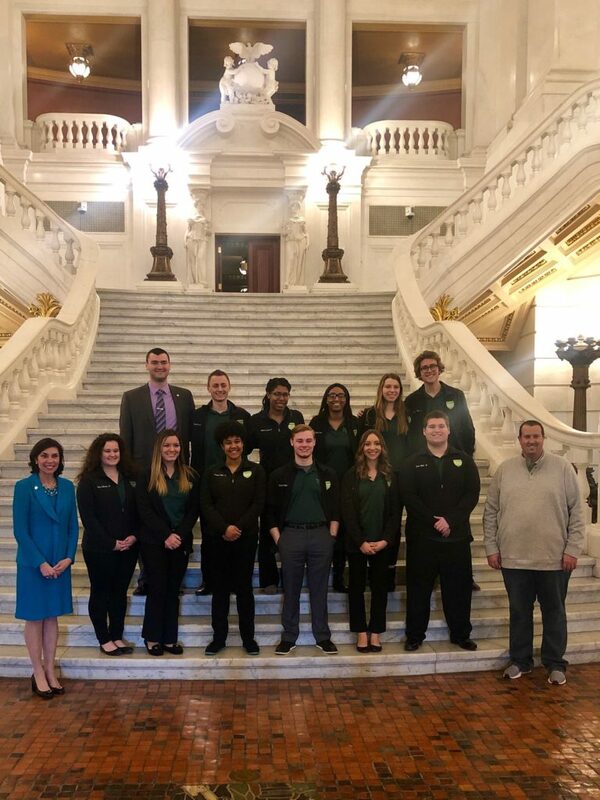 It was a pleasure to bring them to the Senate Chamber for a quick tour of the state Senate, as pictured below. Rep. Seth Grove (R-York), who is a York College alum, and I also met with the students in the state Capitol Rotunda. 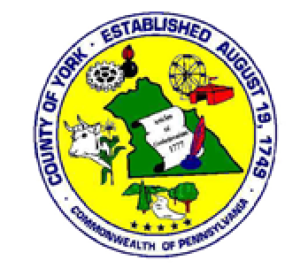 Read more about the “YCP Roadcrew” program in this article in the York Dispatch here. PennDOT is sponsoring a summer employment program for college students who are enrolled fulltime for the fall 2019 semester. College students who are interested must apply by Friday, February 15, 2019. Interested individuals should complete an online application here. Even if you’ve previously worked for PennDOT, you will still need to reapply. Applicants must have a valid Pennsylvania driver’s license and be 18 years of age at the beginning of work. The hourly rate is $13.56. Please let me know if you are interested in this program. Representative Seth Grove (R-York), York County District Attorney Dave Sunday and I co-wrote an op-ed explaining the need for Senate Bill 60 and House Bill 12. Thanks to the help and input of District Attorney Sunday, advocacy groups, and many in the law enforcement community, we were able to pull together this much-needed reform to help put an end to human trafficking. I encourage you to take a few minutes to read it here. It was an honor to attend Rescue Fire Company No. 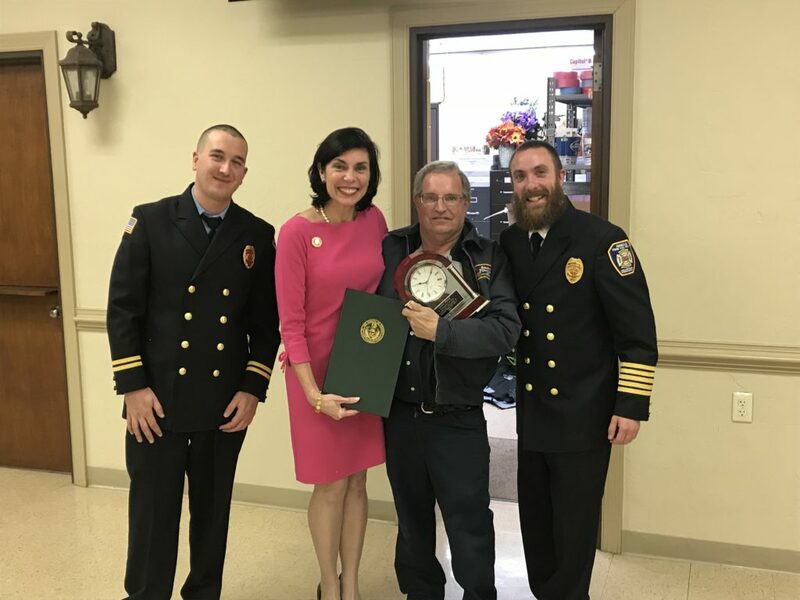 1’s 34th Annual Appreciation Banquet and present citations to many members in appreciation for their selfless service and sacrifice to the Dallastown area community on behalf of the Senate of Pennsylvania last weekend. Award recipients included: Patrick Noll, President’s Award; Edwin Snyder, Quay Markel, Tyler Boyce, and Richard McGill, Volunteers of the Year; Benjamin Proud, Firefighter of the Year; George Shaffer, Jr, Fire Police Officer of the Year; Justin Dillon, Junior Firefighter of the Year; and Lance Beard and Loganville Volunteer Fire Company, Special Awards. Rescue’s motto is, “We strive to serve. We serve to save.” Thank you, we are truly grateful! The York County Department of Parks and Recreation is hosting several events at the Nixon County Park Nature Center over the coming weeks. Please see the following events below. The county’s Department of Parks and Recreation will host a Mammal Fur and Skulls Drop-In program on Saturday, February 2 from 9 a.m. – 4 p.m. and Sunday, February 3 from 12 p.m. – 4 p.m. The event is great for individuals of all ages to learn more about North American mammals. There is no fee or registration for this event. On Saturday, February 9 and Sunday, February 10 from 2 p.m. – 4 p.m., the department will host a park naturalist to share info on Eastern Bluebirds. After a 45 minute presentation, participants will have the opportunity to construct a bluebird box to take home. The fee is $10 per box with a limit of 2 boxes per family. Please register by calling 717-428-1941. The department is also hosting a Great Backyard Bird County Drop-in on Friday, February 15 and Saturday, February 16 from 8:30 a.m. – 4:30 p.m., and Sunday, February 17 from 12 p.m. – 4:30 p.m.
For more information on this global citizen science project for bird-watchers of all ages, please visit http://gbbc.birdcount.org/. There is no fee or registration for this event. 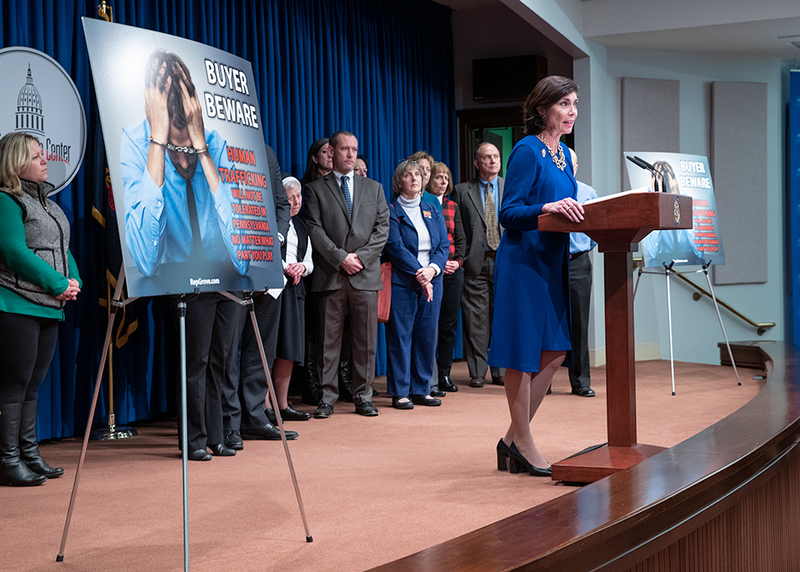 A new state law that created the Safe2Say hotline yielded 615 calls in its first week, according to the Pennsylvania Attorney General.Safe2SayPA helps youth and adults recognize signals from individuals who may be a threat to themselves or others. You can anonymously report the threat to a crisis center, which reviews all submissions. 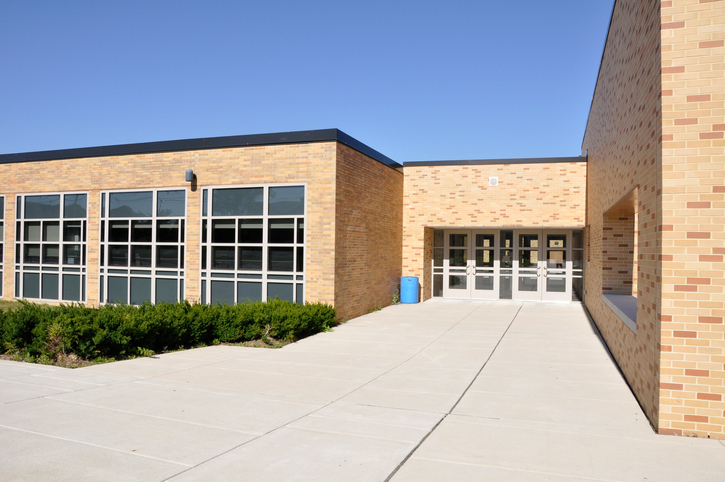 Students, school officials and anyone can go to www.safe2saypa.org to learn more about this new school safety initiative or download the free smartphone app. To report information, please call 1-844-Saf2Say (844-723-2729) to report any possible threats or concerns at your school. Safe2Say covers 3,774 public and private schools across the state. The program’s staff have trained almost 180,000 students as to how to use the Safe2Say program, with more than 160,000 additional students set to complete trainings in the coming days.